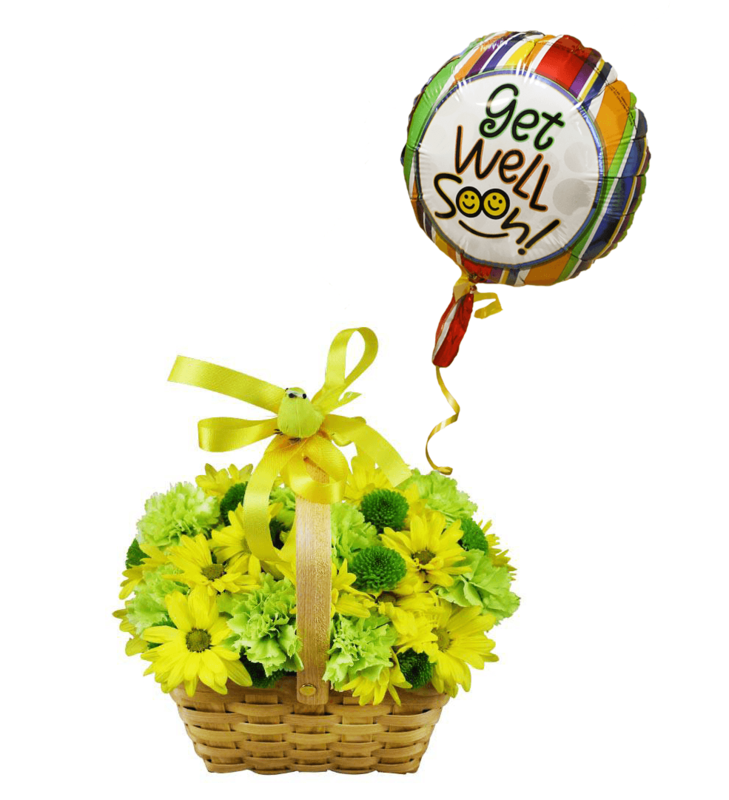 Our Get Well Flower Basket is uniquely presented in a wooden handled basket adorned with a yellow daisies and a Get Well Balloon. Bright yellow and green shades are perfect for a cheerful Get Well gift! 07/18/2018 2:17PM Bright and cheery basket— Mike I.